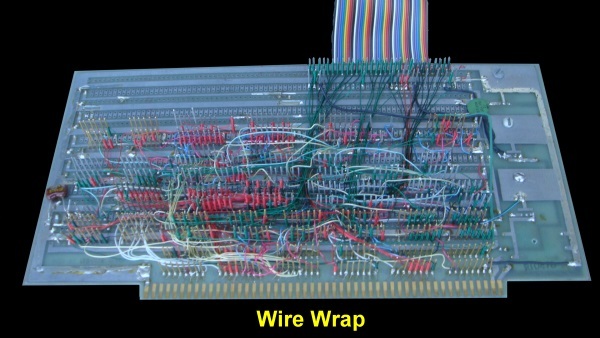 Typically you laid out the chips horizontally (although some vertical orientation boards were produced). These board can be found on places like eBay from time to time. When later non-DIP style chips (CPU's etc.) started to appear these boards did not work. 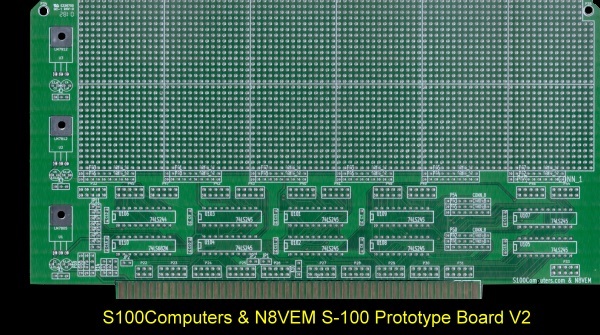 One or two companies offered boards with just 0.1" pad spacing or a board with at least an area with this format such as this I/O Technology board. 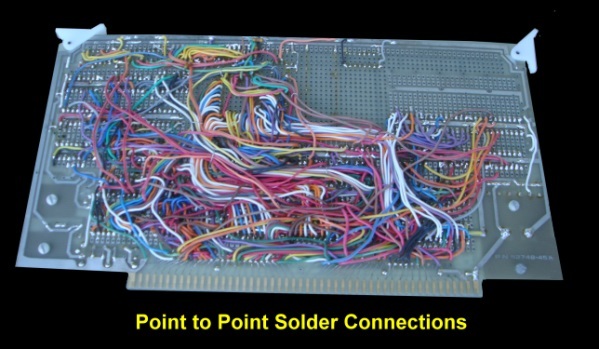 Personally I prefer the point to point soldering method. It takes longer to do initially but in the end you save time debugging because it is easier to locate connections and make changes. 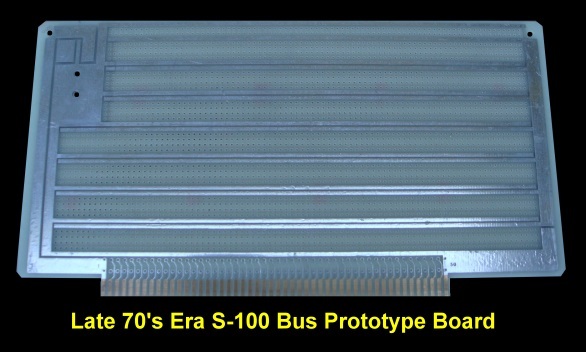 V2 of the Buffered S-100 Prototype Board. 1. 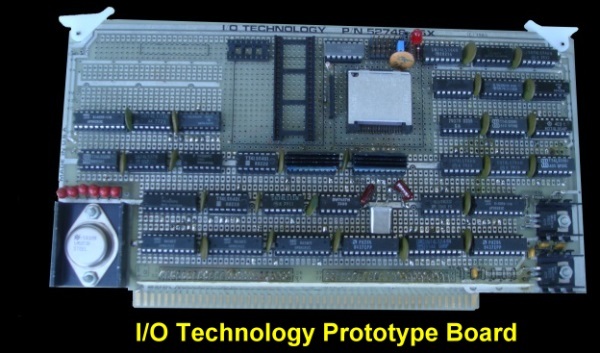 I/O port selection circuitry that can be jumpered for any 8 bit I/O address range. 2. A complete bi-directional buffer (U108) setup for 8/16 bit data transfers with 16 bit CPU's. 3. A dedicated 5V line across the bottom of the "patch" area for convenient hookup to IC's. 4. Complete flexibility as to the type or Voltage regulators used in each of the 3 positions. 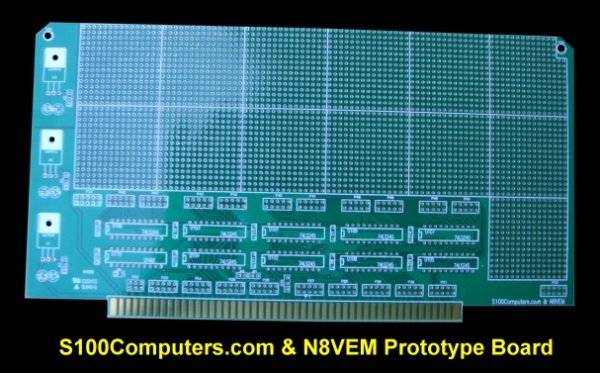 The schematic for the V2 Prototype board can be obtained here. 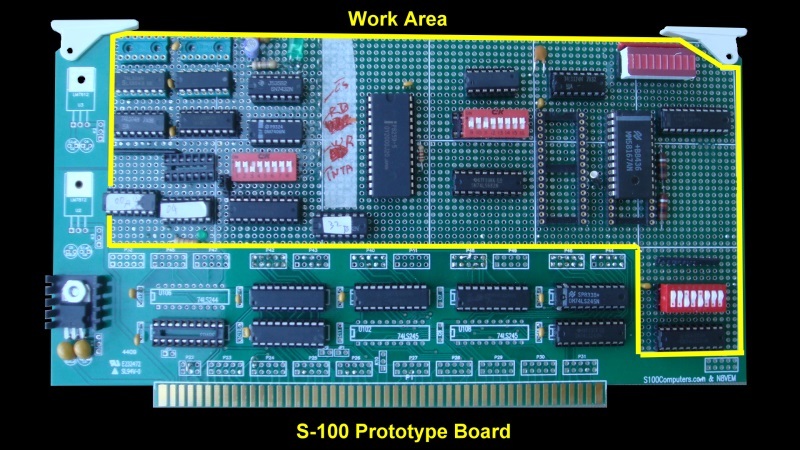 The board layout can be obtained here. The board utilizes 74LS682's for port addressing. If your are unfamiliar with this technique click here.